Providing expert migration law advice. Registered Migration Agents since 2003. Need help with an Australian Visa Application? An experienced Registration Migration Agent can guide you through complex application processes, handle the paperwork for you and present your case in the strongest way possible. Why use an Australian Registered Migration Agent? An Australian migration agent can maximise your chances of sucess in your skills, sponsorship and visa application. If you are an Australian business that has an ABN we can assist you to ensure to ensure that you work within Australian Government guidelines. Freeman Migration Services Australia provides advice on a commercial basis about Australia’s migration law and visa processes. When you use our services you gain the benefit of our extensive knowledge of migration procedures, which makes us different from other less experienced providers of migration advice. 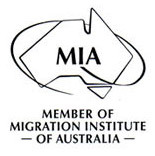 The principal, Alison Louise Twiname, is a Registered Migration Agent with the Office of the Migration Agents Registration Authority, and is a Member of the Migration Institute of Australia. At Freeman Migration Services Australia we have handled many complex migration cases and can therefore provide you with expert advice about Australia’s migration law and procedures. Our 'hands on' knowledge of migration procedures, and years of experience in processing and lodging visa applications, means that we can give your application the best possible chance of success. Australia immigration laws are complex, and it is advisable to seek expert advice if you are considering migrating to Australia. When you use Freeman Migration Services Australia you can be assured that we have the depth of knowledge of migration procedures to get you the best possible result. Freeman Migration Services Australia assists many clients and businesses throughout Australia and internationally with their visa requirements. We respond as quickly as possible to our client’s many enquiries, and will take the worry out of your migration experience. We work closely with Australian businesses and skilled overseas employees, and can assist you with a range of other visa options such as partner visas. At Freeman Migration Services Australia, we gain a lot of satisfaction through helping people migrate to Australia. We will not take on a case if we don’t believe that the application has a reasonable chance of success. Other family visas such as Contributory Parent and Visitor Visas. Thank you so much for all your help, you made it a stress free process explaining what was happening each step of the way. Would recommend your services to anyone applying to be in Australia.